Hope everyone had a safe, fun New Year’s celebration … and here’s a toast to a happy, healthy 2014! The cool paint dripping background stamp is from Hero Arts, inked with Ranger Distress Inks, spritzed with a bit of water. 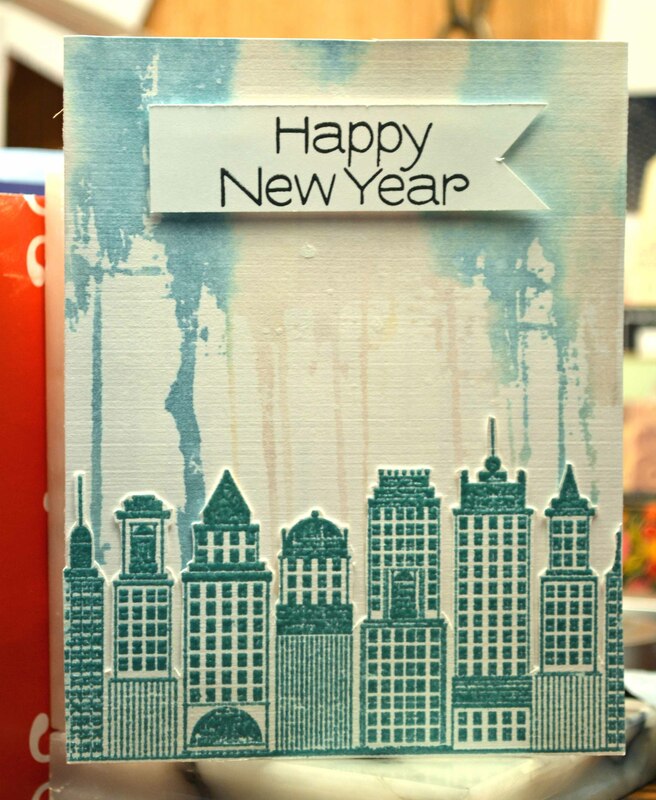 The Penny Black cityscape was heat embossed with American Crafts’ Zing teal. Yum. All I did was stamp a bunch of Happy New Year sentiments, cut them out and pop them on with dimensional foam. Thank goodness for my stash of un-marked cards! 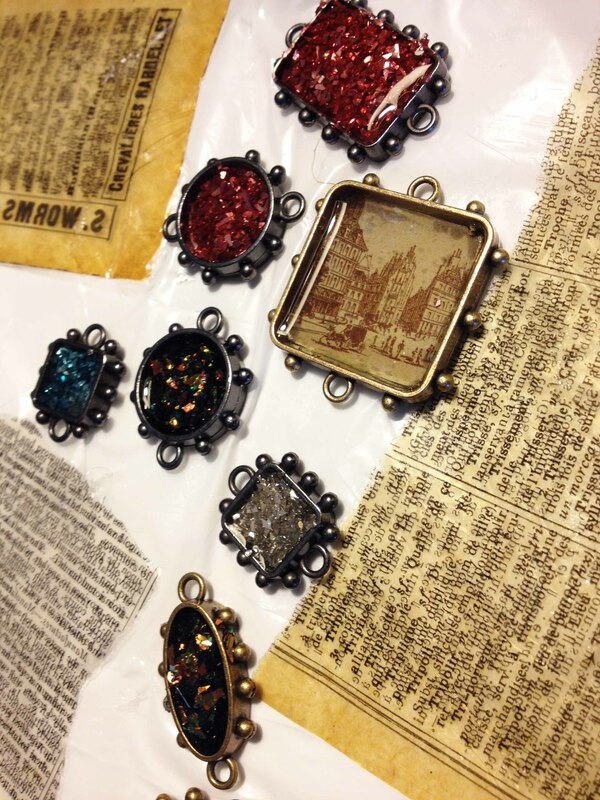 Last month I cut up a bunch of paper odds-and-ends and created these diagonal mosaics. I love this technique. 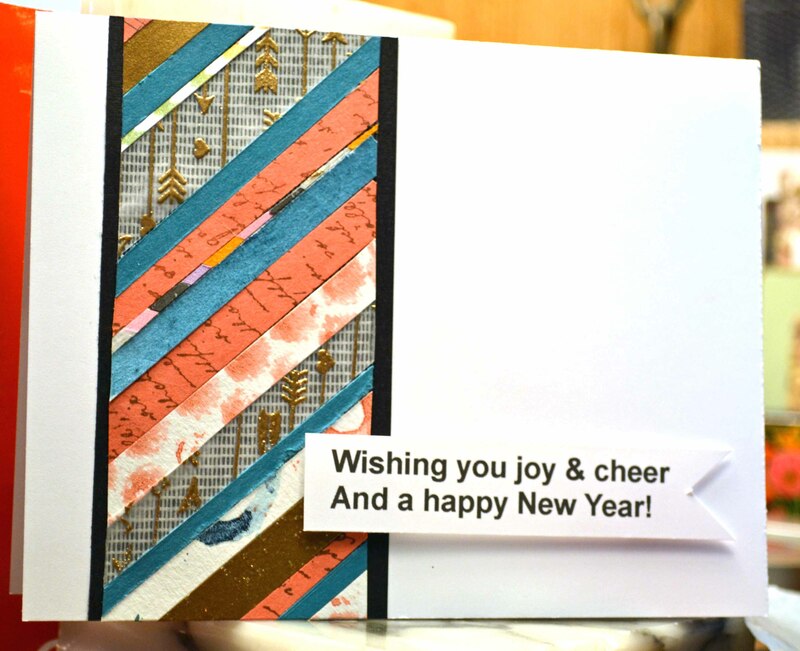 So fast and easy, and it feels SO good using up scraps! Happy New Year, everyone. And thanks for stopping by!